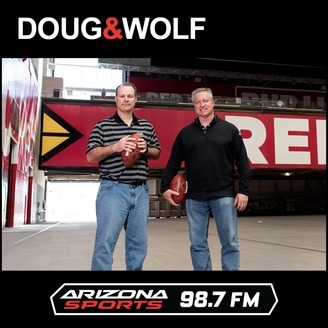 Doug and Wolf get you up with latest sports news presented in an entertaining way. It's Jock vs. Joe every morning as former NFL player Ron Wolfley brings the perspective of a former athlete and former high school bench warmer Doug Franz speaks for the average fan. 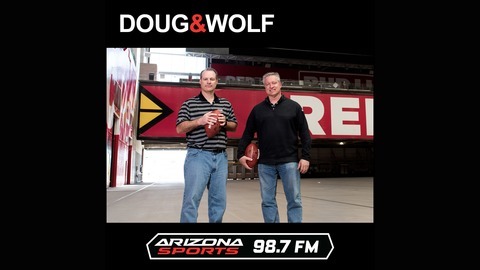 Listen live every morning from 6-10 AM Arizona Time on Arizona Sports on 98.7 FM or download this podcast. Doug and Wolf discuss what the Cardinals could get in a potential Josh Rosen trade, why the Raiders sent their scouts home a week before the NFL Draft and they take you through the biggest stories around sports this week in Working for the Weekend.